March 6, 2013 / P.J. From the outset, we were all impressed with how the Tangent felt in the hand. If I had to compare it to another disc, it feels, to me, like a flat Discraft Comet, or larger diameter Vibram VP. I usually don’t prefer beaded discs, but I had no problem with it getting caught on my fingers or anything like that. It felt comfortable, and the Neutron plastic it is being initially released in offers good grip. I gave one of the Mikes the other Tangent tester – white, 176 grams – to throw at his leisure, and we were off. The first real test for the Tangent came on hole No. 3. With a steep slope waiting for a left hand backhand throw without enough juice on it, too much turn will leave you in some nasty bushes with a tough pitch out to save par. I needed to hyzer flip the Tangent to flat and let it ride the line to the ground in order to have a good look, which I knew would be tough for me, since my hyzer flipping skills are less than impressive. So, I gave it a whirl, then saw the dreaded poor form wobble pull the disc off to the left and near the bushes. Not a great throw, but my fault, and it gave me a chance to test out an anhyzer approach to the basket, which the Tangent executed quite well. Par. Mike – a righty backhand thrower – threaded the Tangent to a nice, straight landing about 15 feet from the basket, with what looked like very little effort. I could tell he was sold. As the round progressed, I was right there with him. Straight shots with ease are this disc’s specialty, as its slight understability makes it easy to get on the correct line. At the same time, it is not so flippy that you have to worry about turning it over when you put some power behind it. I used this precision to par two of my nemesis holes, No. 7 and No. 12. I rarely par them individually, and have never done both in the same round, but with the ease of line-shaping provided by the Tangent, I was on a roll. That is, until the end of the round, when my form got sloppy. Indeed, the Tangent does not agree well with throws that are off-axis, tending to turn and burn a bit more easily than other, more stable discs. This isn’t necessarily a bad thing, though – if I can throw the Tangent well for the whole round, then I know my form is staying clean. In fact, it really is like a Comet in that regard, which makes it an excellent disc to hand to a beginner. If a new player can master throws with the Tangent, it bodes well for graduating to faster discs. Power players, though, can also make it dance. Both Mikes used it throughout our round on sweeping anhyzers and low, straight shots that would glide for days. It can provide plenty of distance off the tee, and is quite malleable out of the box. The only concern one Mike had with it was that it might bump out his beloved Axis. Personally, I don’t think he needs to choose. If you just want to head out for a casual round and not have to lug around a whole bag, the Tangent packs enough versatility to be an excellent one-discer. Heck, I even hit some pretty solid putts with it throughout the day. If you want to throw it in the bag as a utility-only disc, it will find a place. Overall, though, I think this is the disc MVP should be marketing to beginning players. With a variety of colors, nice plastic, and – most importantly – ease of use, the Tangent is definitely worth a look. 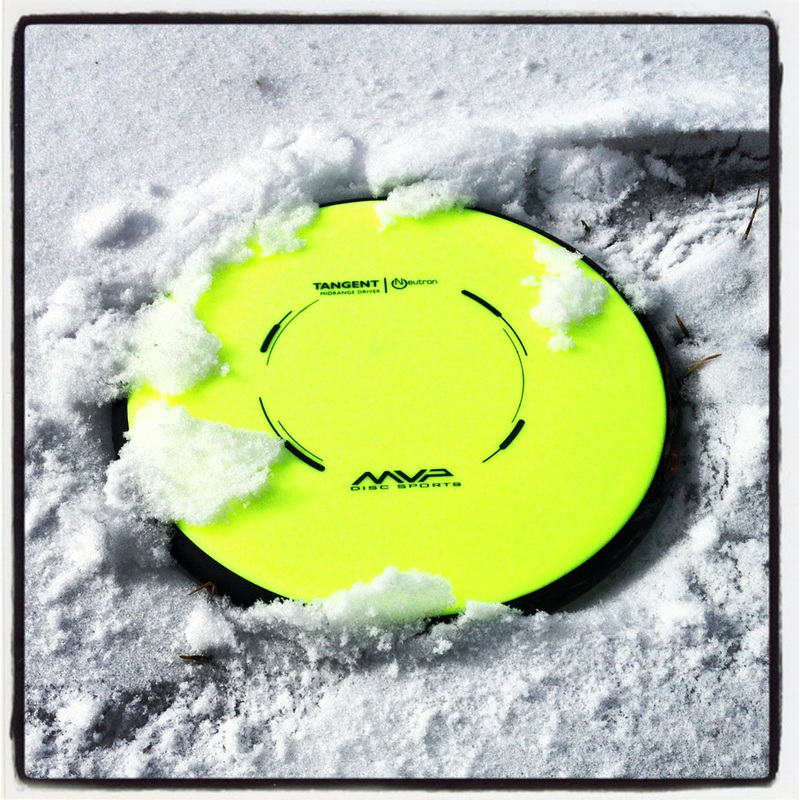 I can’t lie — since getting these discs, it’s been downright frigid in my neck of the woods. And though I’m not a full fair-weather disc golfer, with a decent course no closer than 1:20 away from me, I haven’t have a chance to get on a course. A funny thing happened this week, however. In a shocking display of weather, we had some blue skies. That meant rushing out to a field semi-covered in snow to see what I could find out about MVP’s newest release, the Tangent. 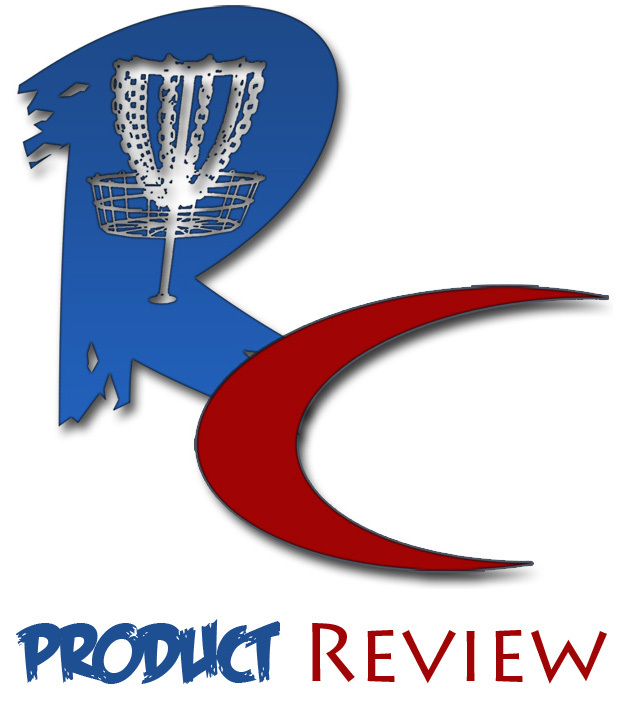 I’m a mid-range disc fan, so I’m always excited to see what is out there and see if it’s something I can utilize. The two discs I received weighed 170 and 177. The Tangent proved to be a solid offering and one I’ll definitely keep using to see if it can become a permanent piece in my bag. The thing about this disc I noticed is a bit of a difference in feel. One thing I’ve liked about any MVP plastic I’ve used is the feel and grip. This disc felt a little more firm than those I’ve used before. Alas, in the three dozen or so throws I took with these discs, the discs started to feel more and more like MVP plastic, which I really liked. Keep in mind that I’m slinky armed. In other words, I don’t throw too far. One thing I noticed with the Tangent was how well it seemed to keep a line. My right-handed throw does the normal right-to-left curve at the end in most cases, but with the Tangent, it seemed to hold a straight line a lot longer and have a soft turn at the end. The few times I grip-locked the disc, I was actually quite shocked to see the disc actually not take off too badly. One thing I truly realized was there was a lot of forgiveness with the disc. I haven’t thrown in quite a while (the winter hasn’t been kind), but I still got decent distance out of bad throws as I did with good ones. That made me quite happy as I’m more apt to lose focus and have some awful throws during a round. If there’s forgiveness, that’s a good thing. This is definitely a solid and good offering from MVP and adds to the growing product line. I’ll continue to work with this disc as it’s definitely something I could see being added to my bag. I also believe it’s a disc that would lend itself well to lower-level players because of the forgiveness. Any time that is possible, I really think it’s an excellent release for the disc golf community. I love the picture of the Tangent in snow.